It looks just as good as the press photos. It’s no secret that automakers make vehicles look extra pretty for photo shoots and official videos. 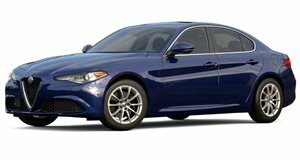 What we have here is the first video of the Alfa Romeo Giulia that was not taken by a professional and the car still looks stunning. In the video we can see two Giulias—a white one and a red one that's underneath a sheet. It looks like the Giulias were getting ready for a video shoot since there’s a Mercedes ML SUV with a large mobile camera on it. It's not surprising to see these Giulias get some screen time before they debut at the Frankfurt Motor Show. What is surprising is to see how gorgeous the Giulia QV looks when adorned in white. With its devilishly good looks, a Ferrari-derived twin-turbo V6 and a 50/50 weight distribution, the Giulia QV looks ready to battle it out with the BMW M3.